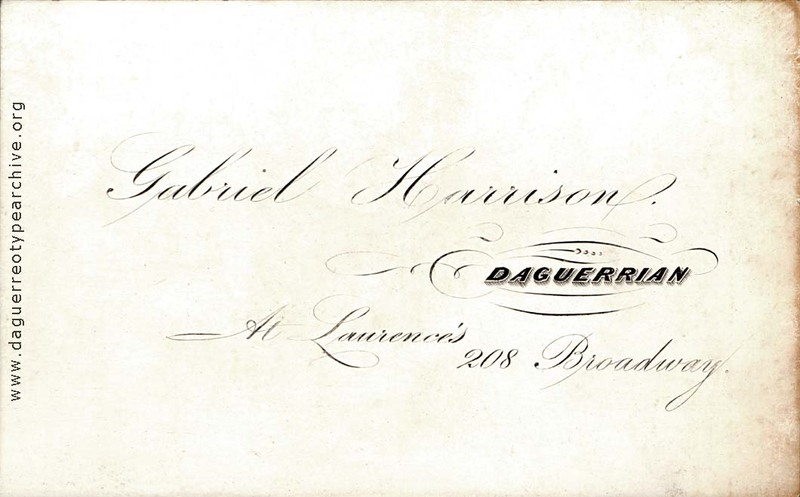 Business card for Gabriel Harrison, at Lawrence's gallery, 208 Broadway, New York. Title: Gabriel Harrison, Daguerrian, at Lawrence's, 208 Broadway. Description: 4.8 x 7.6 cm, printed on enameled card stock.